I have been actively engaged in community engagement as an anthropologist and also as an administrator for decades. 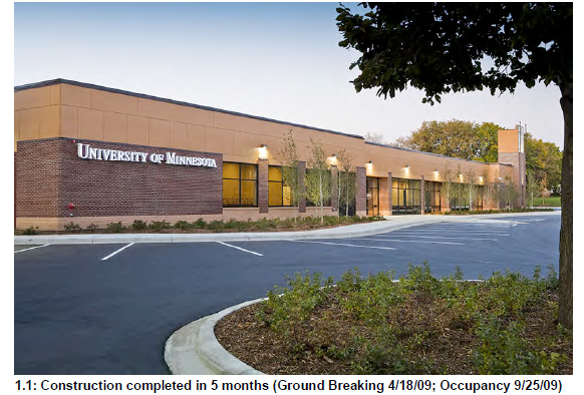 The opportunity to put into real practice what I had learned over time came in late 2007, during my role as the Associate Vice President and Founding Executive Director of the University of Minnesota’s (UMN) first Urban Research and Outreach Engagement-Center (UROC). UROC began as a vision, and it was my responsibility (and my passion) to make it work. 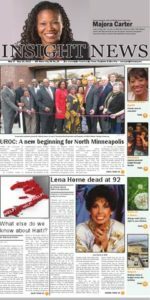 May 10, 2018 marked the eight year anniversary of the launch of UROC, a University research center based in an urban community in North Minneapolis. There was no doubt in anyone’s mind that the Northside was in need of support. It was one of the most under resourced parts of Minneapolis. And every time a major financial crisis hit nationally or locally, North Minneapolis suffered. At the time, I was hired to work on the development of UROC in 2007, I had been working as an anthropologist since 1991. I understood participatory research, rapid assessment approaches to data collecting, and other methods in which those being studied became part of the research process…i.e., co-creators. And my own ethics, as a woman and “native” anthropologist, required that I be intentional about my involvement, and not make any assumptions. Over the course of 15 months, the time it took to build trust from the ground up, after 2 1/2 years of conversations (prior to my arrival) that had yielded little change, and catalyzed the community to protest UMN’s impending presence at a Board of Regents meeting, they were ready for action. The Northside community challenged the research the UMN’s plans to conduct research that might involve children, often invoking the Tuskegee syphillis experiment as an example of how scientist and science could not be trusted. They wanted to hold UMN, its students, and its faculty accountable for demonstrating the direct benefit of any research project to the community. In the process, the University-Northside Partnership was formed as the beginning. The next stage was locating the first Urban Research and Outreach Center in North Minnepolis and involving community in every aspect of UROC’s development. Initially conceived of as a “demonstration project,” the UROC website once held all the archives of news coverage (positive & negative), examples of the process by which the community was deeply involved in the development of UROC’s strategic plan, and involved, even, in helping the shape the renovated design of the building. Unfortunately, when leadership changes, the first thing they do is to try and erase any vestiges of their predecessor; however, my involvement in UROC is hard to erase. I picked out every wall color, carpet treatment, furniture, and can tell you how many HVACs are on the roof. I know the wiring by heart, approved every single detail. UROC represented a unique opportunity to build a community-based research center in an underserved community while practicing authentic community engagement. Since leaving the UMN, I have new found ways to continue to put into practice many of the community engagement lessons I learned. First and foremost, I have come to let go of the need to always center myself as “the expert.” I have learned to listen to the community, whereever I am, analyze the historical and cultural contexts of the places where I work, and then figure out what action to take, in consultation with the community leaders. What do they really need that I can offer? I began this process of unlearning my power and privilege as a researcher when I conducted my first fieldwork in Belize, Central America, which led to the writing of my dissertation that became the book, Women of Belize: Gender and Change in Central America (2000 ). During that period of ethnographic fieldwork and community engagement, I lived and worked with the rural women, and came to realize that they understood their own subordination far better than I had anticipated. And, while they might not always take action, many had a deep awareness of the personal, economic, and social constraints under which they lived. The process of becoming an “observant participant” prepared me for the work at UROC. I approached it as an anthropologist would, telling people that I had one foot in the University and one foot in the community. Ironically, while I was able to transform critics in the community into supporters, some of my strongest opposition came from my colleagues inside the University. Often, my support and advocacy for the community’s perspective was viewed as challenging the University. I was accused of “not watching” my bosses’ back. And yet, despite the challenges being able to translate the idea of UROC into a reality that would benefit the community was well worth the cost. I remain connected to the place/space of UROC, and to the people of North Minneapolis. The first stage of my evolution was learning to recognize the difference between community engagement/public engagement and “authentic” community engagement. Often, academic scholars and administrators had a difficult time disengaging from their roles of authority and positions of power to recognize that community members, who might not have the same level of education, certainly had valuable ideas to offer, could generate solutions, and as anthropologist John Gwaltney once observed in his seminal book, Drylongso, are involved in “theory building” every day. Authentic community engagement is not easy. According to “A Preliminary Matrix for Evaluating Reciprocity within Community/University Partnerships, North Carolina Campus Compact, Feburary 12, 2008, it requires a recognition that the two entities (in this case the University and the community) have a joint destiny, that the destinies of the institution and the community’s are intertwined, and that they must fully cooperate to achieve the desired outcome. One of the general failures that turn supposed collaborations into consultancies is that the institutions meet before hand and plan their strategy. In doing so, they often have already made decisions and formed an opinion about the outcome. As difficult as it might be, both sides need to come to the situation at hand without an agenda, identify what the core issues are that can be agreed upon, and brainstorm solutions. Trust is a process, and it will take time. I find that going to the community instead of them coming to the university began to break down some of the “them” v. “us” mentality. Also beforehand, those with power have to be clear that they will give up something, and ask the hard question of how much are they willing to relinquish–at the end of the day, collaboration is also about compromise.